Finnish game developer Polar Bunny has a package for you. No, not the kind that creep at the park tries to give early morning joggers. This is the good kind of package. The puzzle solving video game kind of package. The studio's debut title Parcel has passed through Steam Greenlight and is ready to give us all what we came for: good, clean, package delivery fun. 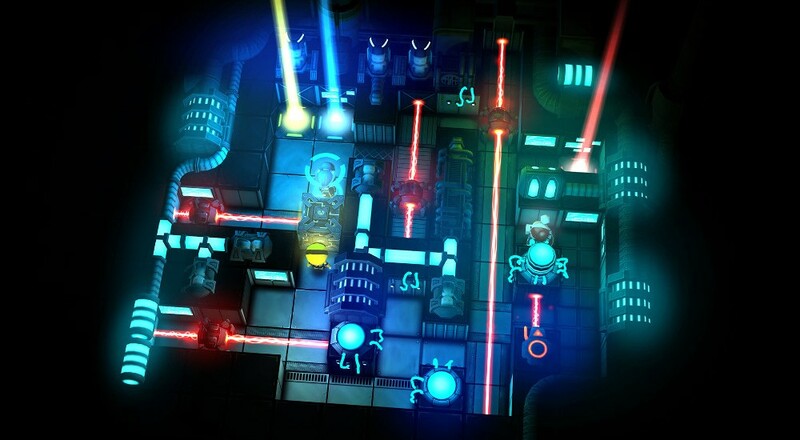 Parcel is set in an isometric cyberpunk world filled with lasers and robots. That's not going to stop you from moving package A to shining delivery spot B, though. By moving boxes to block beams, you can carve a gradual path through each of the 120 interlocking levels. Things get crazy cool when multiple characters become part of the experience, especially when those characters have unique abilities like teleportation, magnetization, and computer hacking. When playing Parcel solo you can switch between characters at the press of a button. Bring in up to three more local co-op friends and you can do some real puzzle solving. Levels gradually pump up the difficulty until you practically need multiple brains to get everything where it needs to go. And if that's not enough, fire up the level editor to make your own stages, or try out some user-created puzzles from the Steam Workshop! Parcel is currently available for PC, Mac and Linux via Steam. It supports local co-op for 1-4 players. Page created in 1.7983 seconds.